Volkswagen is a motor company that has made some boring cars, some dreadful cars and some really grate ones. Among the latter we can easily include this concept. Entitled the Volkswagen eT! 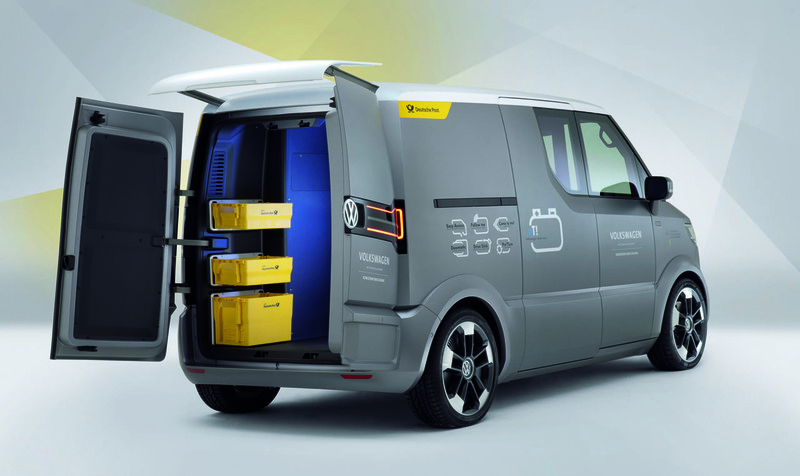 Concept, it is a complete rethinking of what we understand and define as a van. What is particularly interesting about the Volkswagen eT! is that it doesn’t really change any of the obvious or at least rather predictable things. Having not released any specs, performance figures, fuel economy achievements or all of that lot, Volkswagen makes for quite a difference. 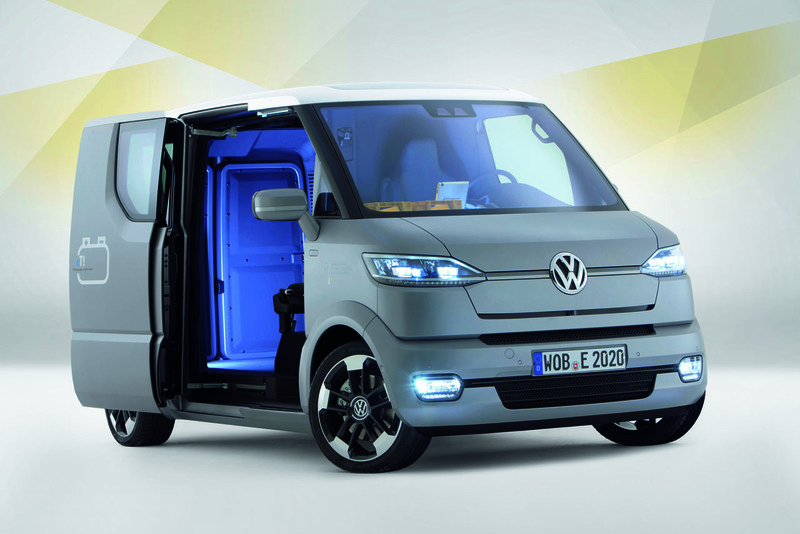 The van-like hot aspects of the Volkswagen eT! Concept make it very relevant to know that it is electric as it is powered by electric engines located in the wheel hubs. This makes for a lot of room inside the car being easily manageable and favoring for some bigger loads that would otherwise be frustratingly unable to squeeze inside. Another aspect of the enhanced van practicality of the Volkswagen eT! Concept is fitted with completely electric sliding doors so you can easily open them up. Finally, something mailmen everywhere will love, the Volkswagen eT! Concept can be driven semi-autonomously, it can move for short distances without the driver actually being in it. 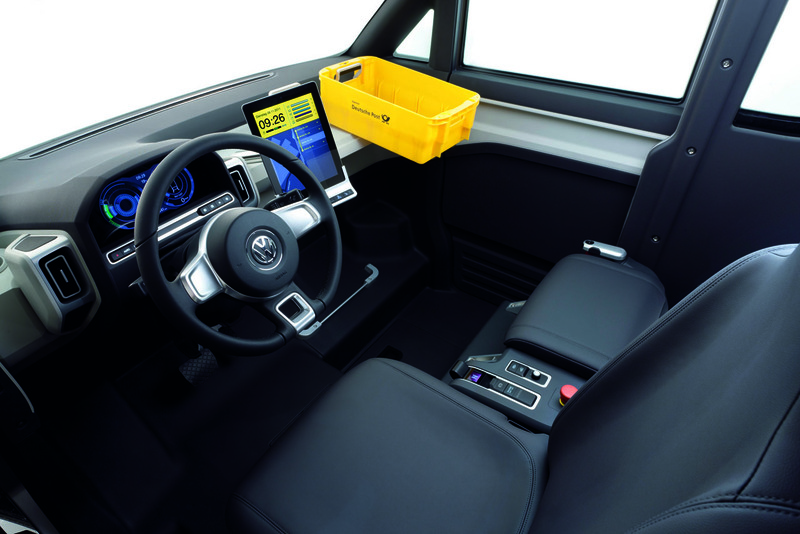 The same purpose can be found in how there’s a joystick ready to control the Volkswagen eT! Concept from the passenger’s side. Great opportunities for giving drivers a hard dime at first hand but when you look at it, this is actually something people might order if they can’t afford the semi autonomous controls.